The reason why I am posting Philly for this weeks throwback is that I'm actually going on a day trip there this weekend with friends! My first trip there with friends was back in 2009 where we visited a college friend of ours who had moved there for school. Just a bit of a warning, this is about 10 months after I bought a DSLR and I was really into HDR at this point. 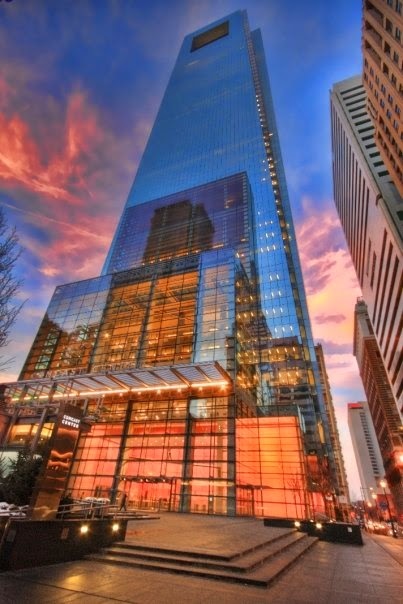 Ever since I started taking pictures in 2008, I have only had one photo stolen and it was the following photo of the Comcast Center. Crazy to think that if I never go into HDR, I would never had done the processing people liked in this photo. Would I do this kind of processing now? It's kind of hard to say, most likely no haha. I'm not sure I am into HDR at all anymore and it was a phase for me.